Are you considering buying a fireplace? If you are looking to buy gas fireplaces, let Embers Living be your guide to picking the right one for you! We carry many brands of traditional gas fireplaces and have an assortment of direct vent, B-vent and vent free fireplaces, giving you tons of options to make sure you get the best fireplace for your home. 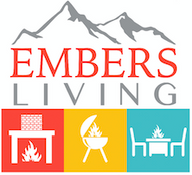 Contact the experts at Embers Living and start shopping online with us to get your new fireplace today!